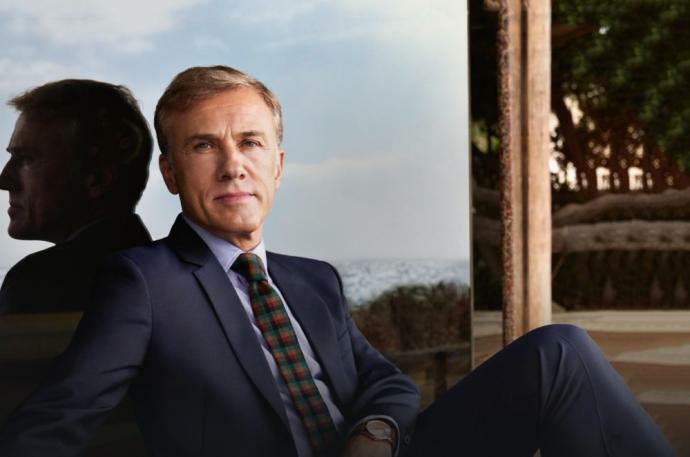 CHARLOTTESVILLE, VA – OCTOBER 10, 2018– Two-time Academy Award-winning actor Christoph Waltz will be a special guest at the upcoming 2018 Virginia Film Festival, VAFF officials announced today. The Festival also announced program additions including Moonlightwriter and director Barry Jenkins’ latest film, If Beale Street Could Talk, and Julian Schnabel’s At Eternity’s Gate, which stars Willem Dafoe as Vincent van Gogh. Christoph Waltz is best known for his work with filmmaker Quentin Tarantino. After working steadily on stage and on screen in Europe for 30 years, Waltz burst on the Hollywood scene in 2009 when he played the ruthless, brutal, but at times charming Austrian SS Col. Hans Landa in Tarantino’s Inglourious Basterds. The role earned Waltz 27 major awards, including 2009 Golden Globe and Academy Awards for Best Supporting Actor. He won his second Golden Globe and Academy Award in 2012, again in the Best Supporting Actor category, for his role as bounty hunter Dr. King Schultz in Tarantino’s Django Unchained. Other acclaimed roles have included plagiarist Walter Keane in Tim Burton’s Big Eyes; and 007 nemesis Ernst Stavro Blofeld in 2015’s Spectre. Other starring roles for Waltz have included Benjamin Chudnofsky in Green Hornet, the villainous Cardinal Richelieu in Paul W.S. Anderson’s remake of The Three Musketeers, and August in Francis Lawrence’s adaptation of Sara Gruen’s bestselling novel Water for Elephants. Barry Jenkins’ If Beale Street Could Talk recently had its World Premiere at the 2018 Toronto International Film Festival. A powerful follow up to Jenkins’ Academy Award-winning triumph Moonlight, If Beale Street Could Talk is set in 1970s Harlem and is centered around the story of young African American couple Tish and Fonny. The pair, friends since childhood, find themselves deeply in love and are eager to get married. Their love story is shattered when Fonny ends up in prison after being falsely accused of a heinous crime, and Tish finds herself in a race against time to prove his innocence before their child is born. Julian Schnabel’s At Eternity’s Gate is a journey inside the world and mind of a person who, despite skepticism, ridicule, and illness, created some of the world’s most beloved and stunning works of art. This is not a forensic biography, but rather scenes based on Vincent van Gogh’s (Academy Award-nominee Willem Dafoe) letters, common agreement about events in his life that present as facts, and moments that were just plain invented. Matangi / Maya / M.I.A. is an intimate portrait shot by Maya Arulpragasam and her friends over the last 22 years. The film captures her unlikely rise from immigrant teenager in London, to the international pop star M.I.A. who draws inspiration from her roots. M.I.A.’s mashup, cut-and-paste identity pulls from every corner of her journey, including Tamil politics, Art-school punk, hip-hop beats, and the voice of multicultural youth. The cameras roll through Maya’s battles with the music industry and mainstream media as her success and fame grew, and she cemented her place as one of the most provocative and divisive artists working in music today. The 2018 Virginia Film Festival is presented by The Joseph & Robert Cornell Memorial Foundation (Richard M. Adler and Joseph Erdman, Trustees). The 2018 Virginia Film Festival is generously supported by the following Premiere Sponsors: The AV Company, Bank of America, CFA Institute, Community Idea Stations, Harvest Moon Catering, James Madison’s Montpelier, Violet Crown Charlottesville, and the Virginia Film Office. For more information, visit virginiafilmfestival.org.